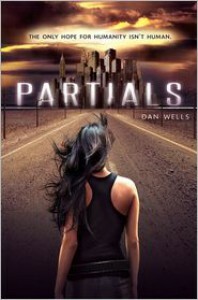 First Impression:Partials has been sitting on my shelf for quite awhile. The reason for the hesitance stems from the belief that the book dealt with aliens. Not exactly sure where this idea came from. But after glancing at a few reviews, I was beginning to get excited about this one.While Reading: Ok, ok, so my initial thought of aliens was off... but not by much.Partials takes place in the not too distant future. Our world has gone to war with itself in the Isolation War and in the process created the Partials (bio-engineered humanoids) to help win that battle. Flash forward a few years, the U.S. won the war, but the Partials turned against humanity and subsequently 99.996% of humanity was killed by the RM virus, which the humans believe the Partials created.See what I did there? I basically gave you all the background for Partials in a paragraph. This book was close to 500 pages and that was all the basic background that was given throughout those almost 500 pages. Now, I love me a well done post-apocalyptic tale. But one of the biggest factors for the tale to be well done is the world building. Sadly, Partials had very, very little of it. Even with those almost 500 pages, I have no clue what the basis for the Isolation War was, although I do remember China being mentioned in passing, nor do I have any clue what the "RM" in the RM virus stands for. Now for some these may be trivial issues, and even I will admit I am probably being over critical, but if I am to accept the Partials' world, then I have to understand how these people got to this point. Or else, the subsequent struggles throughout the novel almost seem pointless.I wish that I could say that this was the only issue that I had with Partials... but it wasn't. The characters, and there are more than plenty of them, were more one-dimensional than I wanted. Out of 10 plus characters that are mentioned, Kira was the only one that stood out. And even with her, I had a pretty hard time feeling a connection.The one major positive for Partials was the lack of the love-triangle. The romance was already in place as readers began that first page, so it was never a question of will there or will there not be some insta-love. However, there seems to be the possibility of a romance developing, but that all takes a back seat for everything else that is going on in the book.Verdict:I had a very hard time getting started with Partials. 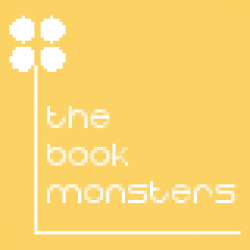 A slow beginning and lack of world building did not endear the book to me. But as things started to unravel, I found myself completely absorbed by the book. Partials does end on a bit of a cliff-hanger, so I am curious to see what comes next.